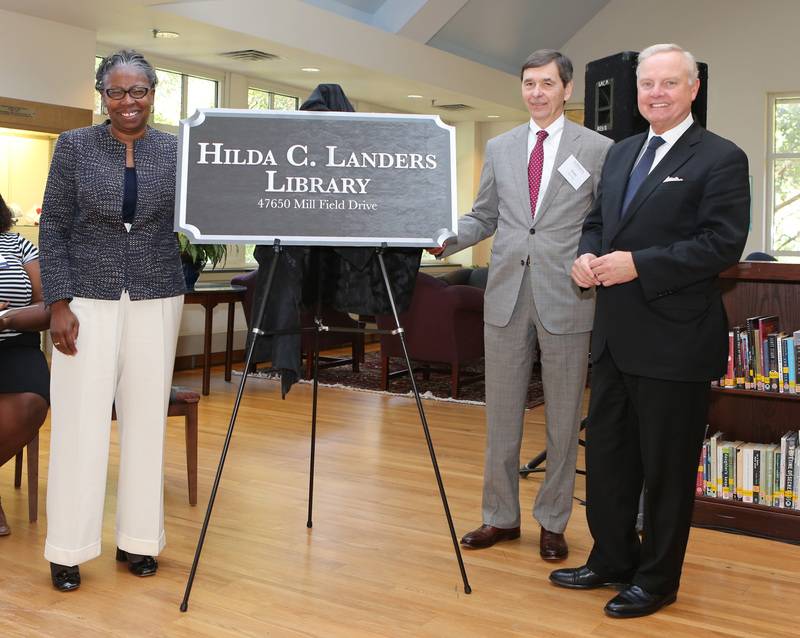 St. Mary’s College of Maryland’s Board of Trustees and President Tuajuanda C. Jordan dedicated the Hilda C. Landers Library on Saturday, Oct. 21, named after an alumna whose support for the College has touched the lives of nearly 2,000 students and counting. 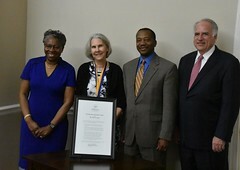 The Board of Trustees officially approved the naming during the Board of Trustees meeting in May, and subsequently the Maryland Board of Public Works approved the naming over the summer. 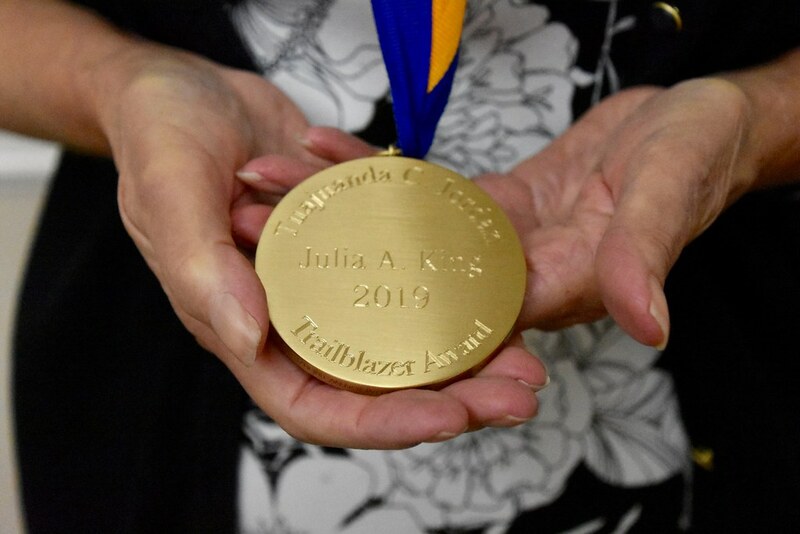 Hilda C. Landers was a longtime friend of the College and in her lifetime, her giving was anonymous. 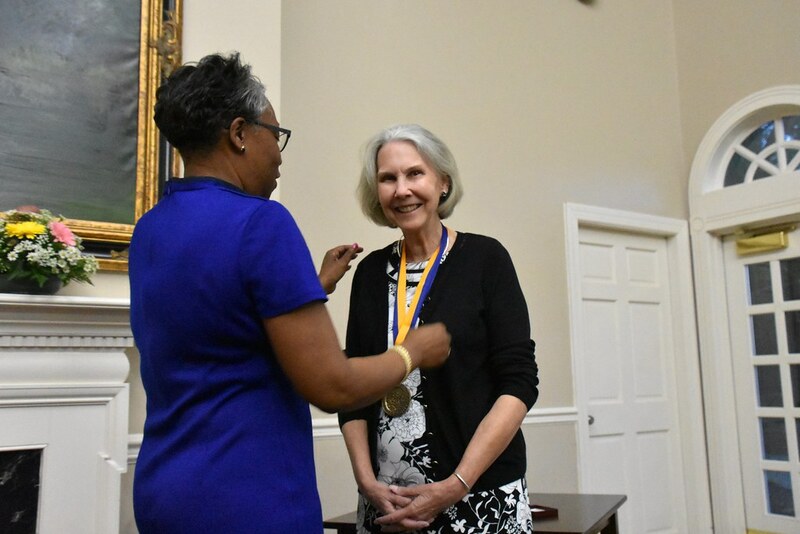 Her philanthropy at St. Mary’s College began more than 50 years ago with a gift of $1,000. 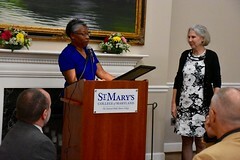 Her generosity continued year after year and through trusts, gifts in her name will continue to support St. Mary’s students. Support to date from the Landers and their trusts (Hilda C. Landers Trust and the Arthur E. Landers, Jr. and Hilda C. Landers Trust) is estimated at $6.4 million. 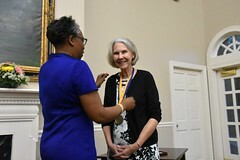 When Landers (then Elizabeth Hilda Combs) graduated from the St. Mary’s Female Seminary in 1923, the library as she knew it was located in Calvert Hall and was modest at best. In recognition of her generosity of spirit — which is anything but modest— the library, as it stands today, will be known as the Hilda C. Landers Library. 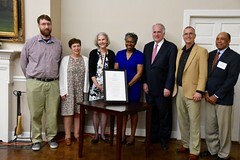 In attendance at the dedication ceremony were Don Mering, senior council for Baker, Donelson and overseer of the Landers trusts, along with numerous students who have benefited from the trusts. 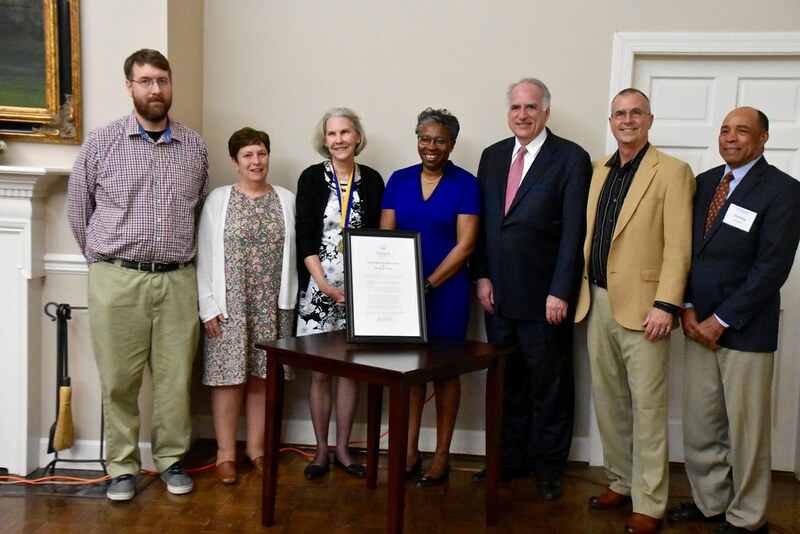 St. Mary’s College of Maryland is accredited by the Middle States Commission on Higher Education through 2024-2025. 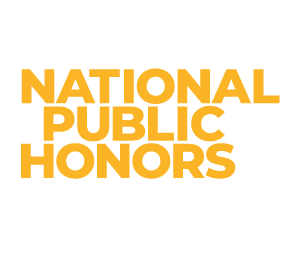 St. Mary’s College, designated the Maryland state honors college in 1992, is ranked one of the best public liberal arts schools in the nation by U.S. News & World Report. Approximately 1,700 students attend the college, nestled on the St. Mary’s River in Southern Maryland.